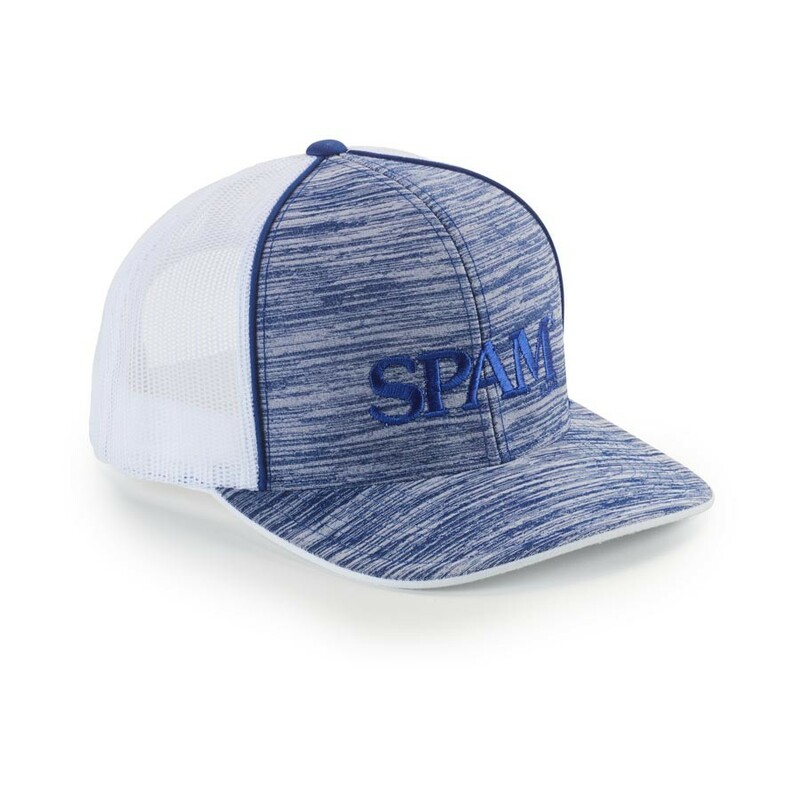 Flat billed cap with white mesh back and blue heathered front along with SPAM® Brand embroidery. Adjustable back closure. One size fits most. Also available in black G6516.